"Affiliate marketing provides a unique content marketing approach, encapsulating all forms of digital--email, display, social, search, website--and enhancing opportunity for affiliates and brands alike," says Pepperjam's Maura Smith. 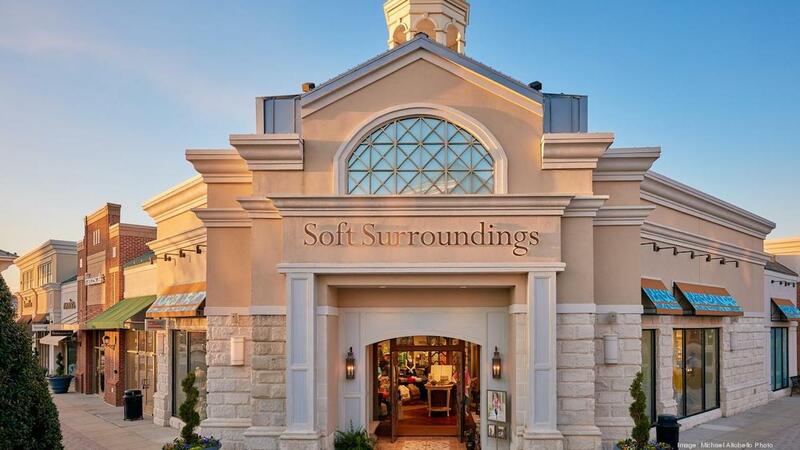 Even as many major retailers pull back on the number of stores, women’s apparel chain Soft Surroundings is continuing its cross-country expansion. The fashion retailer, which originated as a catalog company in 1998, has just opened its 54th location in New York last month. But a large part of its marketing has some tie to its publisher roots: Soft Surroundings has begun working with affiliate marketing platform Pepperjam to extend its reach to “marketing influencers” in the hopes of inspiring other consumers to walk through its locations. “We have changed our affiliate philosophy in the last couple of years,” says Kim Hess, Soft Surroundings Affiliate Marketing Analyst. “We are not hugely promotional and we do not want to steal the sales away from our other channels (specifically email and organic), so we limit our coupon publishers. We really appreciate the content publishers efforts for bringing in new customers and truly influencing sales. We will continue to grow the content publisher reach. “We have recently signed on with ShopStyle, so hopefully we will see a nice increase of traffic, sales and brand awareness,” Hess adds. “I appreciate the update on new content publishers that appears in my inbox — and I always vet them. We checked in with Maura Smith, SVP Head of Affiliate Marketing for Pepperjam, to explain how the company’s 200,000 publisher-marketing partners can connect online-to-offline sales for its 1,200 clients like Soft Surroundings. GeoMarketing: How does affiliate show the overlap between engaging content and advertising? Maura Smith: Affiliate marketing is one of the most effective revenue sources when it comes to merging content creation and advertising. Influencers and publishers can sustain their content by monetizing it to engage viewers and convert views into clicks. Influencers can incorporate affiliate links into their blog posts and social media campaigns ultimately blending content with advertising seamlessly- engaging their reader and creating a revenue stream. Affiliate marketing provides a unique content marketing approach, encapsulating all forms of digital–email, display, social, search, website–and enhancing opportunity for affiliates and brands alike. How can affiliate sales drive online-to-offline store visits for brick-and-mortar brands? The evolution of technology has derailed the myth that affiliate marketing is an online only marketing channel. Customer journeys are not single touchpoints, but rather a web of interactions across channels and mediums– not all of which necessarily result in a conversion. The same holds true for affiliate marketing. Online interactions with affiliate sites may encourage a conversion in a brick and mortar location making capturing the customer interactions a challenging task. Online to offline marketing tactics include the use of promotional codes tracking campaign effectiveness through brands’ POS systems. This strategy can also be leveraged in a reverse scenario for offline to online conversions. The use of codes in radio, podcasts or word-of-mouth can now be tracked to publishers through technology available to brands through Pepperjam. How does it help close the gap between online and offline commerce? Brands are adapting to changing commerce by enabling holistic tracking to ensure that purchases are attributed to the appropriate digital channel. Take, for instance, the use of codes in radio, podcasts or word of mouth that are used to complete online purchases. Transactions associated with these code redemptions can be attributed back to the true referrer of the sale with the use of the proper technology. Additionally, omnichannel purchases such as those that are influenced online but physically picked up in a store are now able to be tracked back to an affiliate referral source. Brands must realize that their network of affiliate marketing publishers is a distribution resource to marketing opportunities both online or in-store serving up new and innovative opportunities as the market changes. Additionally, the rise of influencer marketing cannot go unnoticed when it comes to commerce, both online and offline. Influencers are naturally known for their digital marketing savviness; however, this reach extends offline as well. Sophisticated influencers leverage the power of their audience to engage in offline regional activities and special events. They can aid in closing the online to offline gap through targeted campaigns with a focus on consumer geography and demographics. The tactic of targeting a specific audience fuels brands to drive value in omnichannel engagement and conversions.